*Free Christmas Delivery on all orders; use promo code FAST18. 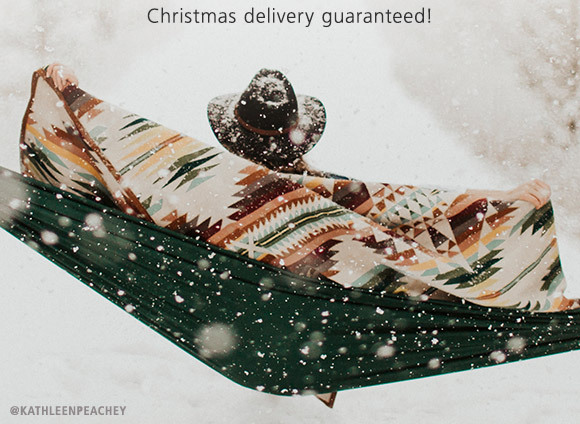 Guaranteed Christmas Delivery for in-stock items only. Excludes customized items, pet items, furniture, oversized items or any items that require additional handling surcharges. Additional fees apply for multiple ship-tos. Offer not available for orders sent to PO boxes. Not valid in retail, outlet or affiliate stores. May not be combined with another offer. Ends midnight PST December 14, 2018. 30% off all women's clothing online and in retail/outlet stores only December 13-14, 2018. Excludes accessories and shoes. Not valid in affiliate stores. May not be combined with other offers. Discount taken before taxes and shipping. Not valid on previous purchases.